It is a search server which uses the Apache Lucene in the backend and provides a Rest API which can be called from any language or the platform to get the indexed data or the search results. Apache Lucene is the java library which provides indexing and search functionality. 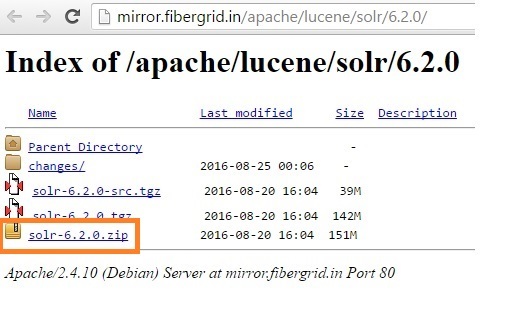 Solr and Lucene both are managed by Apache. Applications can use this search platform called solr to implement faster searching in their site. 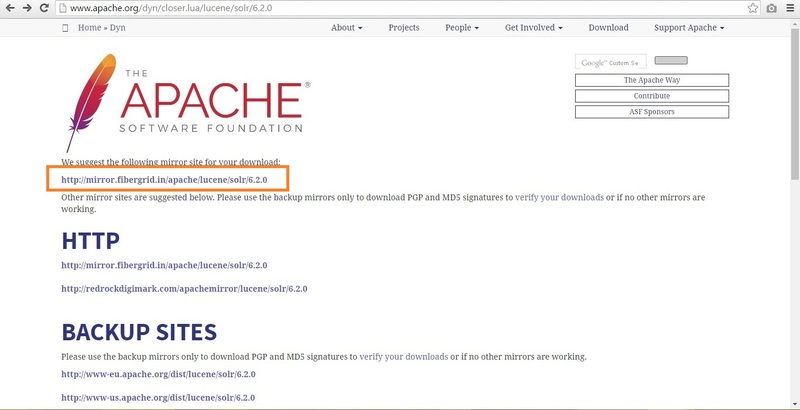 Select solr zip folder from this page for downloading. How to start solr server ? if you are in any other drive, switch to the drive where solr is downloaded using the command Drive: example E: to switch to E drive. In my system , I have Solr downloaded in E drive. How to stop Solr server ? It will say, cannot be connected as solr server is stopped. It will display the following message which indicates that Solr is stopped. No running Solr nodes found. I love Java and open source technologies and very much passionate about software development. I have given all the examples as simple as possible to understand for the beginners. All the code posted on my blog is developed,compiled and tested in my development environment. Your site is much useful to most of the people to learn in a easy way. i need a help from you, please provide some docs like this/ in this for the modules for OMS, Cart and Checkout and some imp modules..